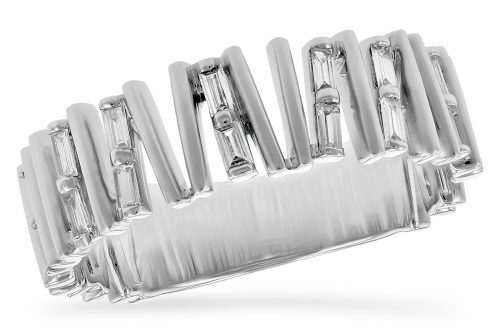 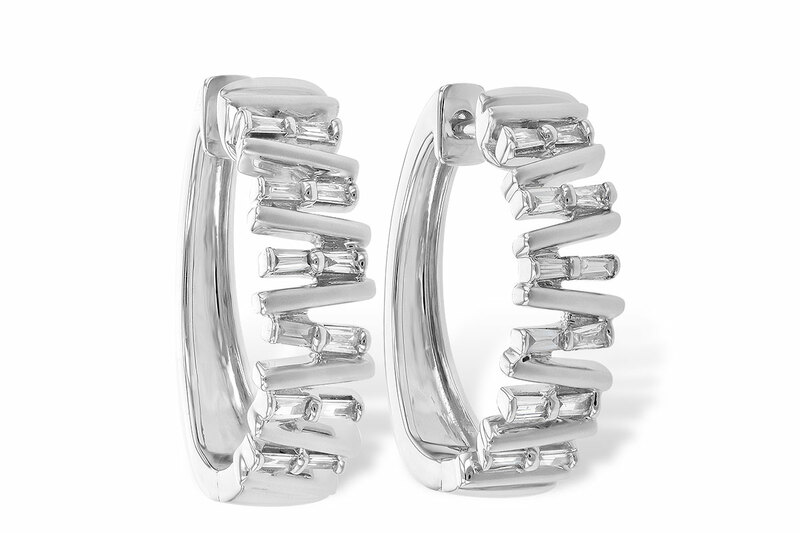 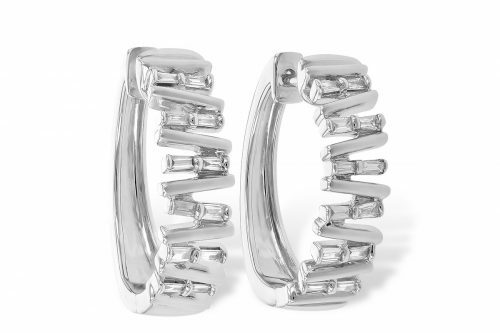 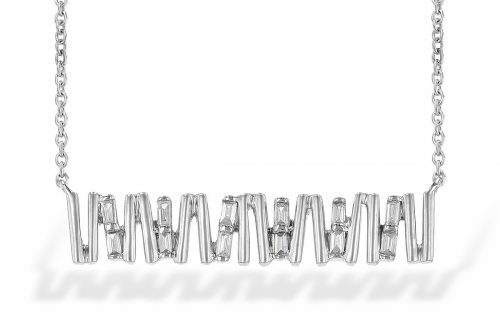 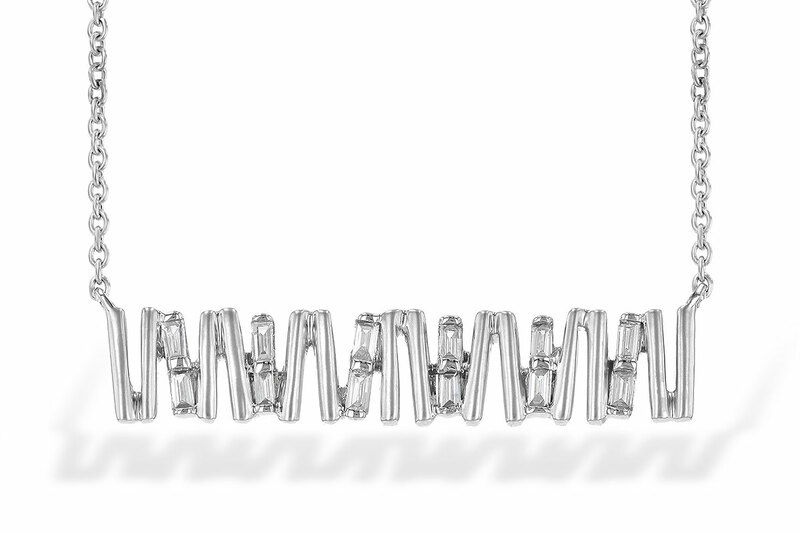 This is a fun, fashionable ring with many baguette diamonds. Baguette means little stick in French so we call this ring the Stick Ring. 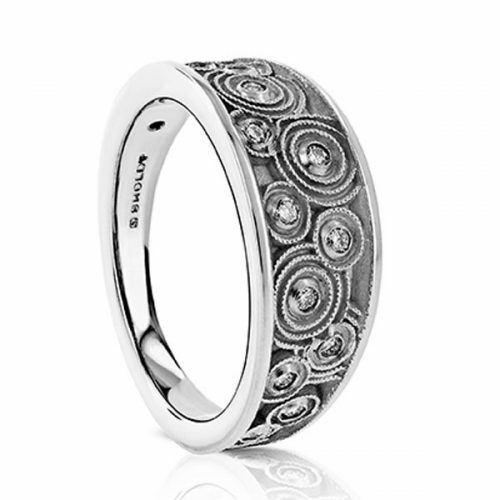 A great every day ring, this style can be worn and enjoyed with any lifestyle. This ring is not currently in our store but can be made for you as a Special Order Item. 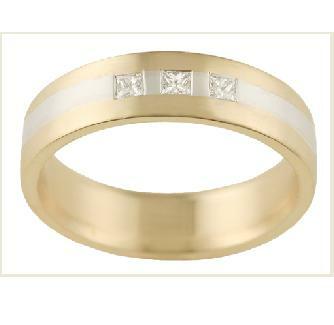 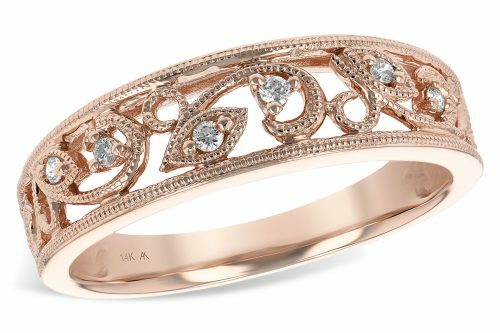 This ring is also available in 14k yellow gold and 14k rose gold. 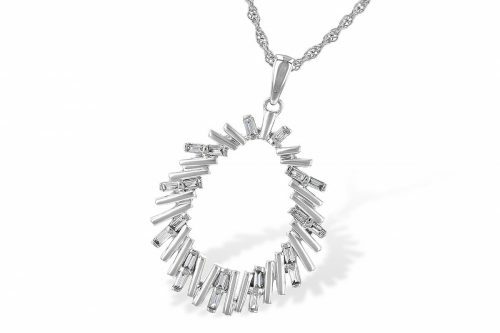 It can accompanied with matching earrings or pendants. 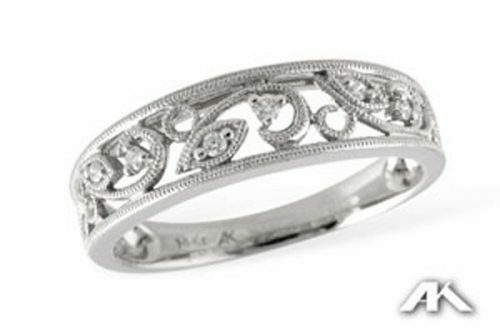 Please call or email us for more information on custom orders.